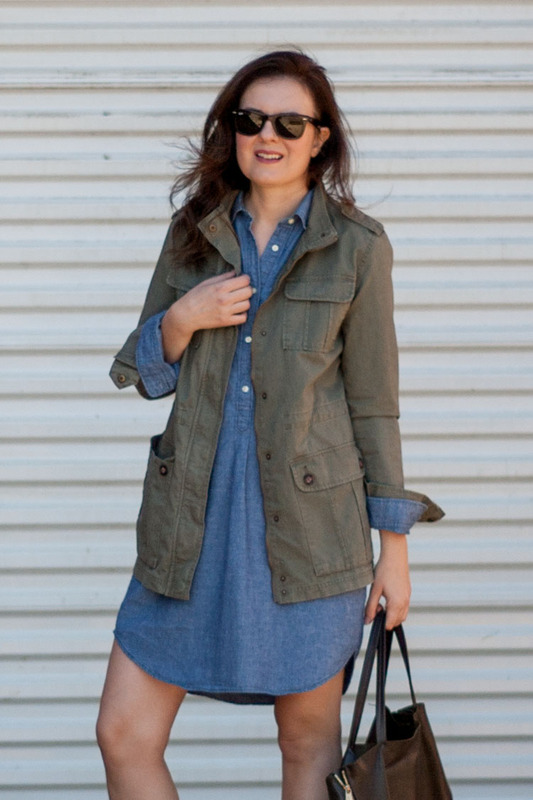 Throwing on a military jacket over my chambray shirt dress is an easy way to continue wearing it into fall. Honestly, I’ll probably wear this dress into winter by pairing it with tights and tall boots. It’s one of the most versatile pieces of clothing I own. Dresses are great because you can get dressed in one step without worrying about tops and shirts to match with your bottoms. 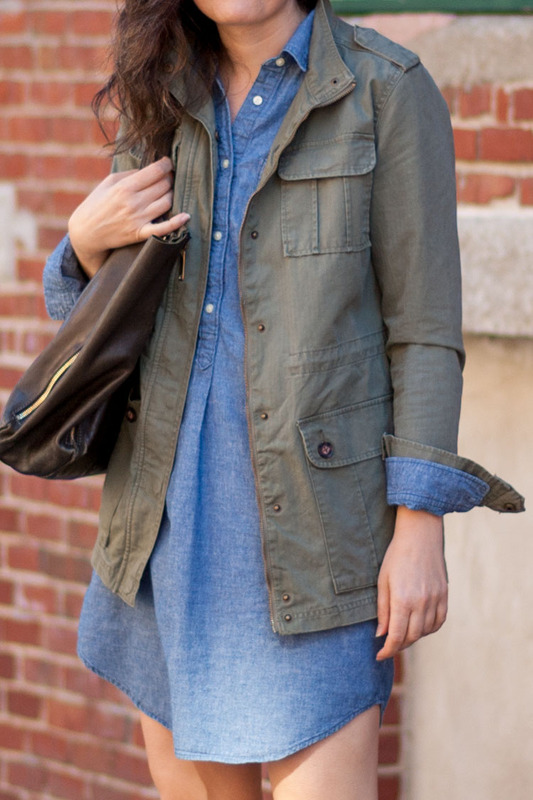 And I’m so happy that chambray has now become an acceptable fabric to wear to work, even when there is a no denim policy at the office (or maybe I’m just breaking the rules). 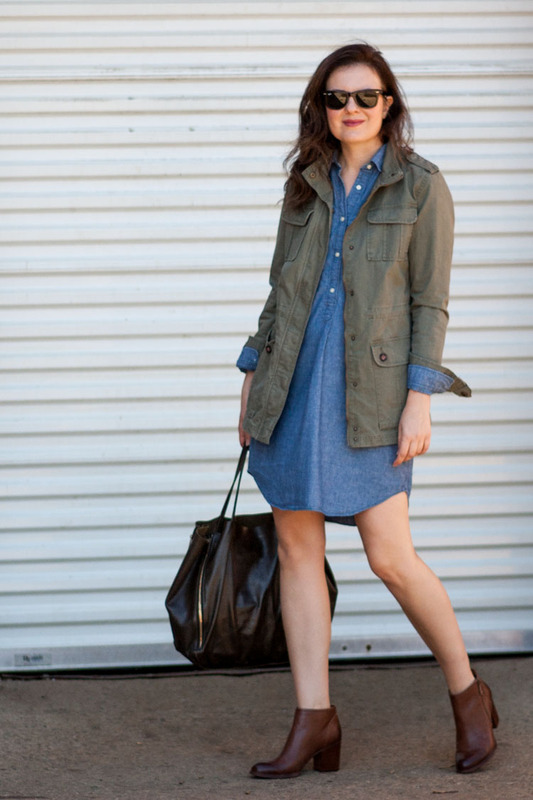 For fall, I’ve paired this look with my new favorite chunky heel booties. 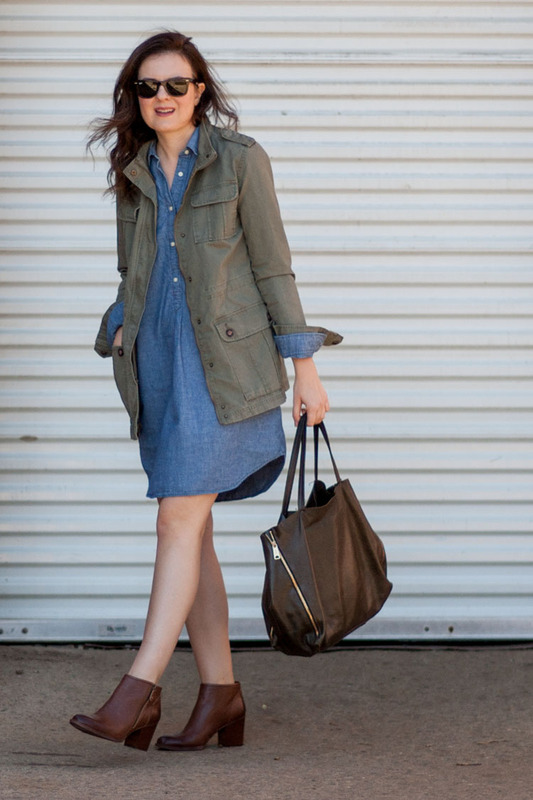 Chunky heels are so comfortable. I can literally run after my daughter in these booties. 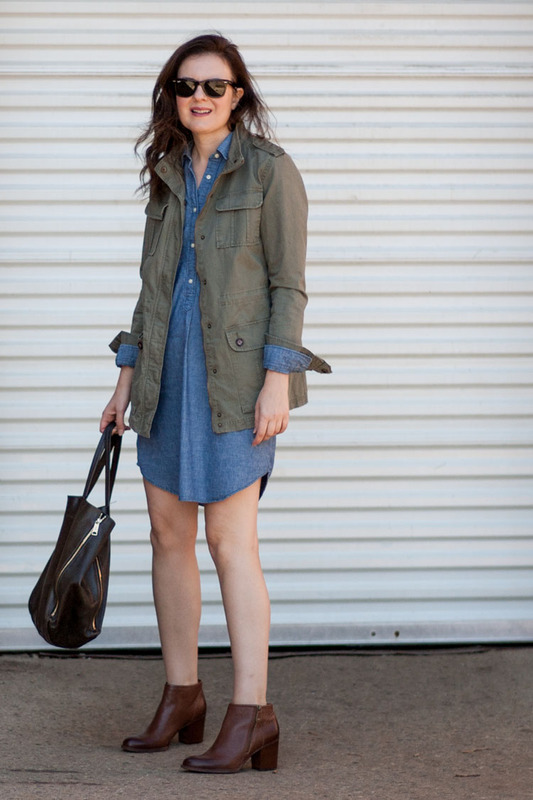 Chambray dress (similar); Military jacket (similar) also here and here; Sofft chunky heel booties.